Ever since I was a little kid, I have always loved juice (what little kid doesn’t?) My favourite was, and still is Apple Juice. And yes I know, all that sugar is not good for me. But I love juice and I can’t help it. It is now the end of my time in Barcelona and being here has been an unforgettable experience. But I digress. So I happened to find Be You Juicery by accident, I was lost in the Sarria area of Barcelona. I hadn’t eaten yet that day and I was lost hungry and tired. I saw Be You and decided this would be where I figure out where I am and make a plan. 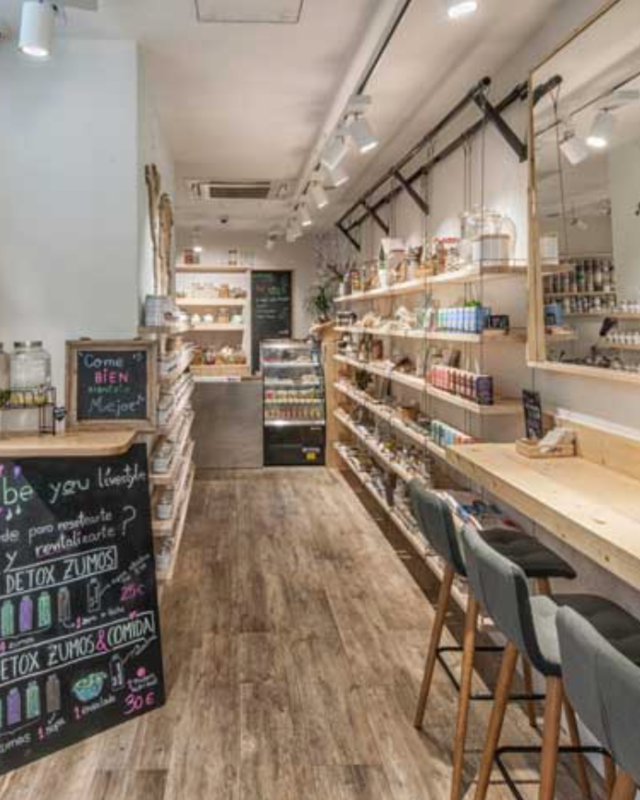 When I stepped into Be You I realized it was more than just a beverage store. Be You provides a series of cold-pressed juices (which fun fact this method keeps all the proteins and nutrients), but also supplements. The intention is to help digestive or immune problems through juice options, with different vitamins and minerals to help problems from digestion to energy, to skin improvements. It is kind of like a market for fresh, healthy juice options. The supplements also come with recipes, if you are like me and want to use them but have no idea how. Not only that but you can also buy the juices in Packs if you are doing a juice cleanse or just want some in your home if Be You is far away like it is for me. You can buy prepared packages that make meeting your goals easy. Be You has a small sitting area for you to sit and enjoy your drink, you will want to stay forever and taste all the juices, but you will also want to leave and get moving with the energy you get. All I know is I’ve been there once, and I will definitely be going back.